Visit at Pit van der Werf - tipplerzuechters Jimdo-Page! 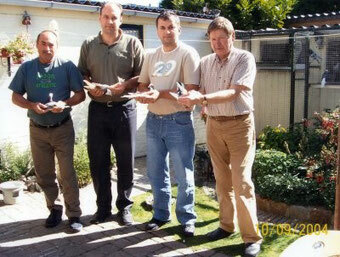 On the 09.09.2004 I got a visit of my both friends from Sid (Serbia), Dragan Markovic and Rade Matic. On the 10.09.2004 we got on the way to Oosterbierum (the Netherlands) and met Pit van der Werf.